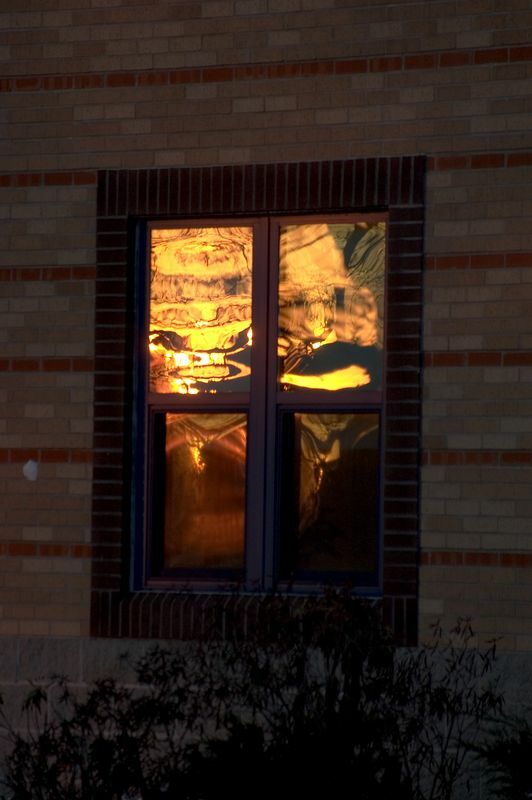 On my way back to my car (after taking sunrise pictures from Robbins Farm in Arlington), I took took this picture showing the reflection of the sunrise in the window pane of a nearby school. This is a real photograph, not a digital creation. 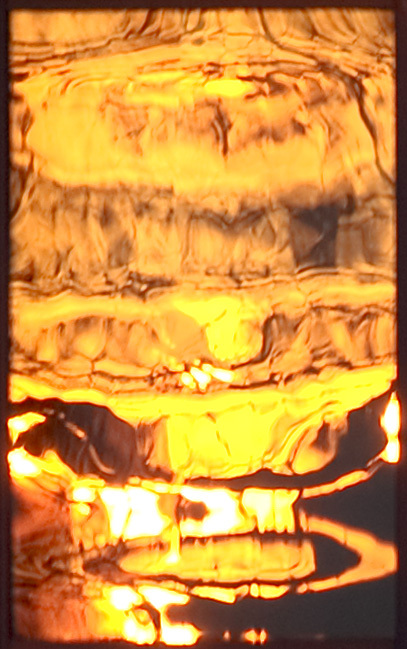 I did crop the original picture to just show a close up of the upper-left pane of the window. And the image was rotated and de-skewed slightly. Otherwise, this photograph shows the reflection exactly as it was. Here is a link to the uncropped original picture.